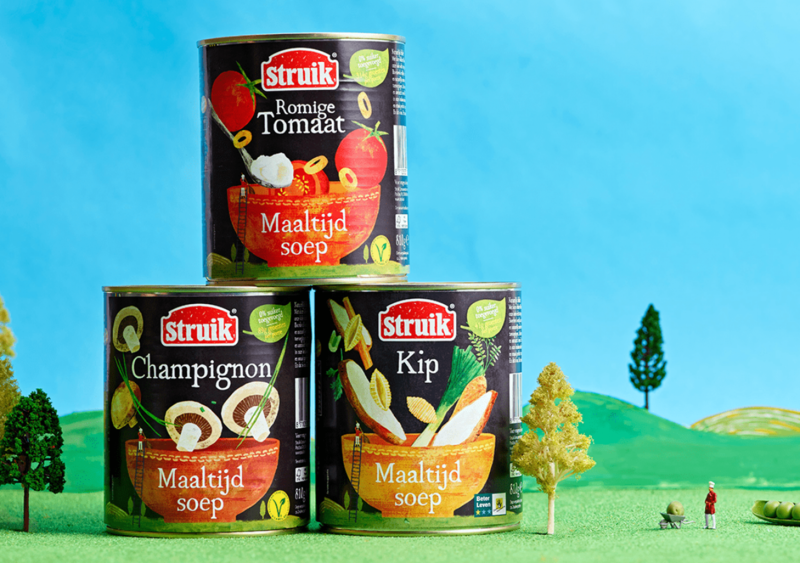 Our first job for Dutch soup brand Struik was a BIG one. 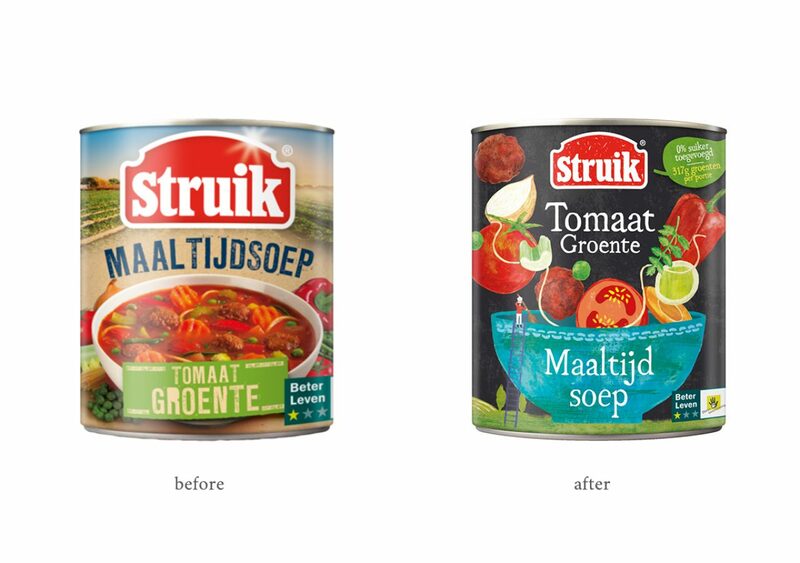 They were looking to take their image in a new direction and become an iconic name in the Netherlands. 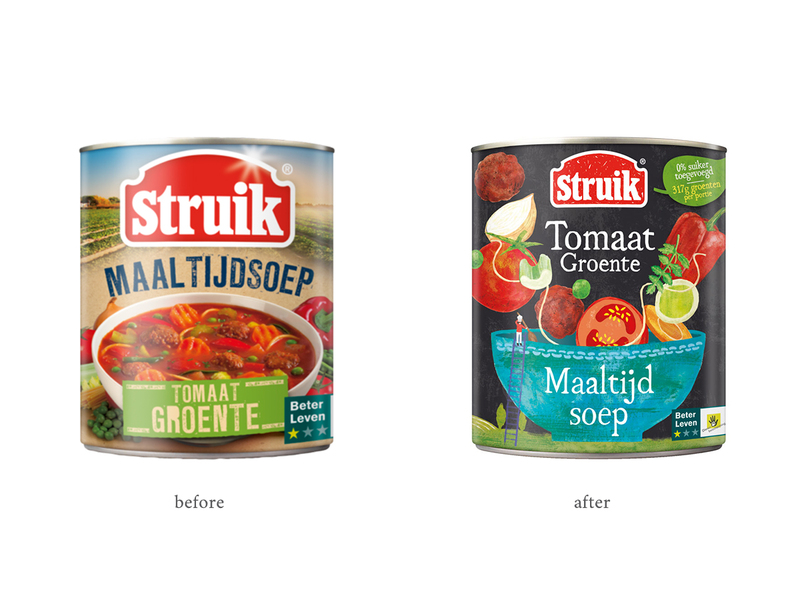 First up - their Meal Soups sub-brand. Hearty wholesome soups designed to be a filling meal for the family. 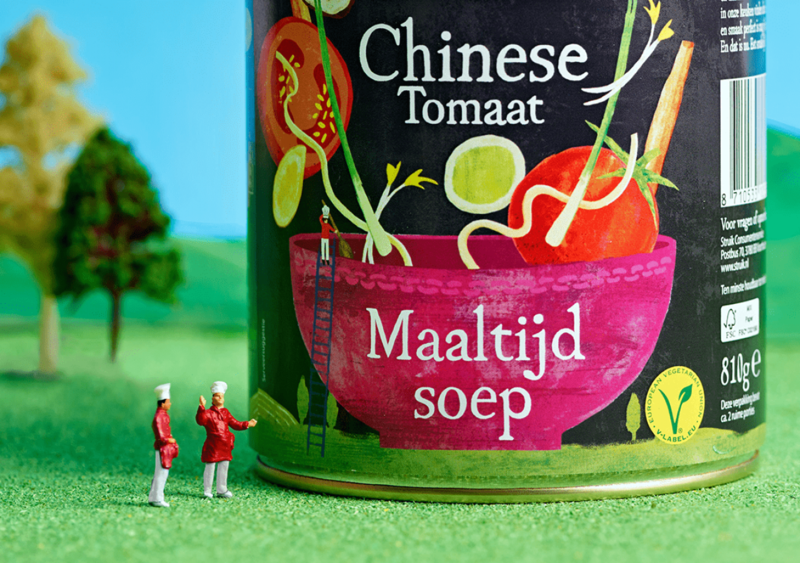 Trouble was, even though they did contain bigger pieces of veg, they looked just the same as every other chunky soup on the shelf. And with the tin being a standard size, we had to think up a way of portraying ‘big’ without actually being bigger. 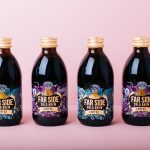 So, we created a concept all around size. 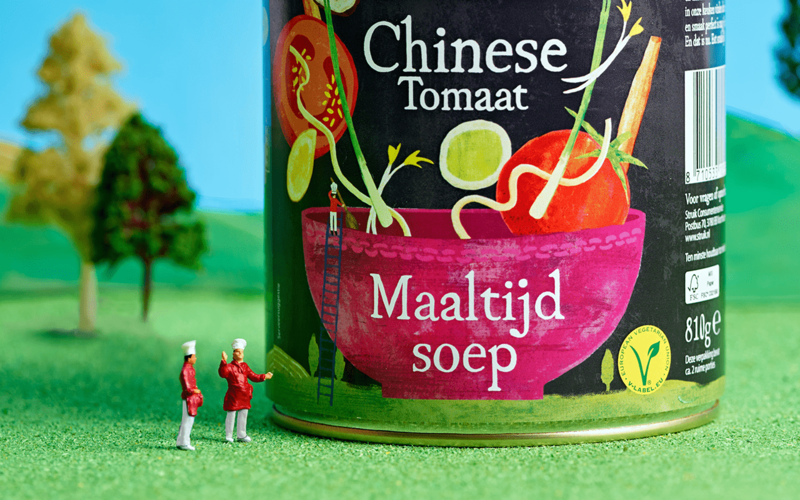 With ownable tiny chef characters, creating finely crafted delicious meals out of giant vegetables. This contrast of big and small accentuated the feeling that the veg was generously packed in huge chunks. Another challenge was to make the soup feel more earthy and natural. Using a team of in-house artists, we decided to hand draw all the illustrations for a more rustic look. 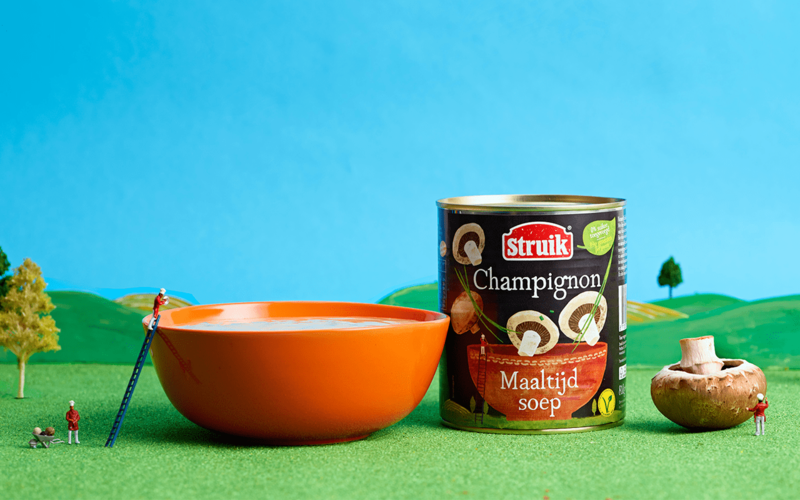 We even re-drew the Struik logo in this rougher style so that it fitted in with the sub-brand look. The result was a style with charm and standout. 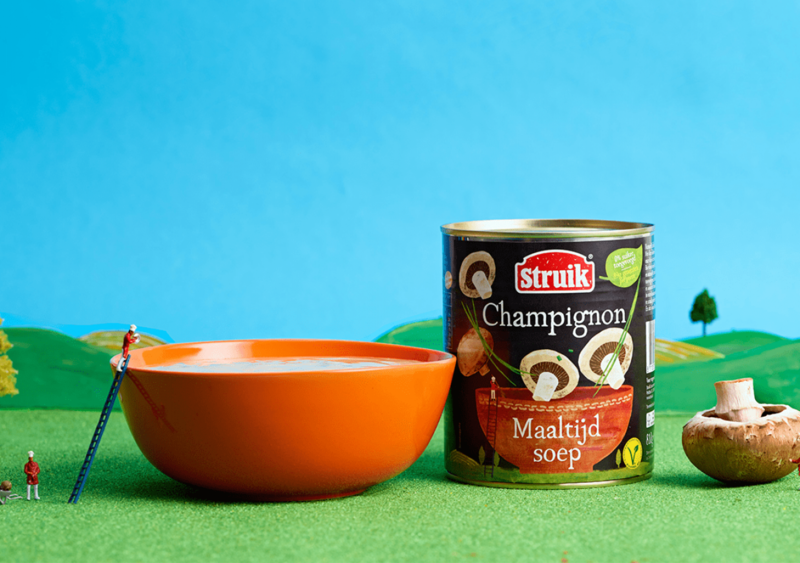 Most soups on the shelves in the Netherlands use photography to show ingredients on pack, so our approach was unique. But that wasn’t the only break with category convention we achieved. We also took the bold move to use black as the key label colour. 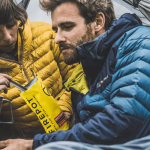 It set off our illustrations beautifully and gave added impact to their on-shelf presence. 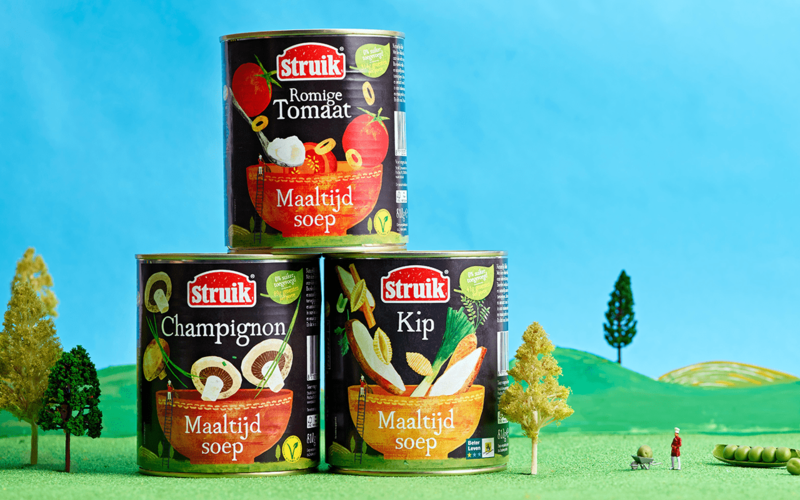 Struik were so bowled over with our evolution of Meal Soups that they are looking to apply a similar treatment to their other sub-brands, with hand drawn illustration adding personality to their whole range.